Hello, Thank you very much for validating me and allowing me to post on the forums. I joined the forums for two specific reasons: 1) To download and use the XvT: BoP missions from this forum. 2) To keep in touch with those who are interested in XvT. Before I proceed... Wrench, thanks for the excellent tutorial you stickied to this discussion board. It is very helpful. I have a campaign that I downloaded and added. While I don't use folderized format like Wrench uses, I do edit the .lst files using Notepad++. Here's what I came across. All listings of the campaigns, or missions, must be listed numerically. 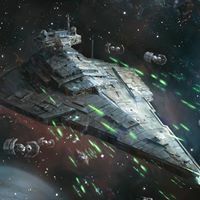 For instance: // [imperial Campaign] // 2 campgn1.lst Imperial Task Force Vengeance // 6 impintel.lst Death, Deceit, and Punishment I noticed that if I do the exact opposite: // [imperial Campaign] // 6 impintel.lst Death, Deceit, and Punishment // 2 campgn1.lst Imperial Task Force Vengeance Several buttons of XvT: BoP in-game will show up the first "default mission set". For instance, impintel.lst has around 25 missions. So if I checked Combat Engagement, the list for the missions is 'missing' but in Training, it'll show up at the far end with none of the missions. The missions only show up after you complete them via campaign mode. However, by organizing them numerically, the game reverts to the 'default setting' just like you would access original XvT: BoP by placing you into Gunnery Training's first mission. Here's where the problem arises. If the campaign is "multiplayer combat", I would assume it doesn't go into the BalanceOfPower\TRAIN folder. It goes into the BalanceOfPower\COMBAT folder. However, for impintel.lst, the maker suggested TRAIN. That's not exactly the problem. I have had another player decide to give this custom campaign a whirl. We both were able to access the campaign. We went to the 'pilot assignment' page and found that our names showed up. What's really the problem is that our names disappear and becomes "Drone". Does anyone have a problem with accessing 'multiplayer combat' missions and finding out that their names are changing into "Drone" for no reason at all? On top of it, we couldn't press the button to continue to the next page because there were no buttons to begin with. The problem might be because of the inverted numerical order. I haven't double-checked to see if it worked since changing it. When the time's right, I'll do that with a friend. On a side note, I wanted to let everyone know that I've created a new gmail account and developed a google drive. The google drive will be a repository of all the XvT: BoP campaigns, missions, including the XvTED 1.01 or BETA version. This way, everyone who wants to play XvT: BoP custom campaigns/missions or tinker with new missions may do so at their whim. The link is here: https://drive.google.com/open?id=0B39rVAbQIoNXanFGdWtBZXdES28 If you have problems accessing it, please PM me and I'll send you a new link for you to access. For now, the link is public access. :) Happy flying!